The concept you pitch could turn out to be the story that cannot be named! I’m an indie author. And one thing I’ve learned, after pitching directly to agents at a writers conference, is that beauty is in the eye of the market. SPOILER ALERT: Be careful of writing for your ideal reader, aka yourself, you may not be the average bear. Standing in line waiting to pitch a novel at a writers conference to agents is nerve-wracking. Authors are given three minutes. Go overtime and someone hauls you off… but no pressure. It’s not life-threatening in the same way as being mortally judged by an Egyptian monster that devours your soul if your manuscript weighs heavier than the feather of truth. Marketing favors the moment, and the moment is aligned to the ‘same-but-different’ latest bestseller genre. Your story fits or it doesn’t. Publishing calendars take no prisoners. You can roll with the punches (I mean ride the waves) and live to write another day. But be forewarned, in a world based on language skills, one misspoken word has the power to sever a writer’s confidence from his sanity. Here are four killer words: paranormal, fantasy, historical, and literary. Once out, these words flap valiantly to be understood for all their nuances yet writhe beached on the shore, dead as beached whales. CASE IN POINT… I deliberately booked six formal pitches to agents, back-to-back for momentum at a recent writers conference. AGENT ONE: “Hello,” I say after introducing myself by name. “My book ‘The Unthinkable Shoes’ is paranormal history.” Ms. Agent looks up from my first page and vehemently declares “This is literary fiction!” in an accusatory tone. I am so busted. AGENT FOUR: “Hello,” I say, introducing myself by name. “My book ‘The Unthinkable Shoes’ is about a ghost boy from the Titanic.” Mr. Agent looks up from my first page and blinks myopically. “What’s the genre?” he asks. Cautious now, I reply like Oliver Twist asking for more gruel. “Please sir, I’m not exactly sure.” The comeback is brutal. “If you want to compete with professional authors you have to come prepared. You must know its genre!” I am dismissed – an amateur… a newbie… an emerging author with a debut novel about something they want nothing to do with, and three minutes isn’t enough time for a return comeback. In fact, it’s considered rude to linger with a question after the clock has run out. Apparently it smacks of sounding argumentative to an agent who has been wined, dined, and paid to encourage the hopefuls waiting in line for their master’s voice to say here’s my card. Please send me the first three chapters. Whoever said third time lucky was a hopeless romantic. So, I changed hats and brought out a ‘time travel paranormal romance’ to pitch, instead. Is there a way to back-peddle from such gaffs? Not within the minute left of a sink or swim interview. At least in an elevator there’s the option of pressing the emergency stop button and pause time. 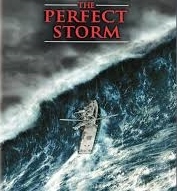 The imperfect storm of self-publishing dictates that my own website, as imperfect as it may be, is the only venue under my control where I can freely promote my novels from a virtual sea of books. I send you a few rafts. Please grab hold as a book floats by with a pitch that catches your imagination. SO, HERE GOES… PITCHING INTO THE WIND on a VAST BLUSTERY OCEAN TOSSING and ROLLING (dare I say, ROWLING?) with unsung BOOKS to a captured audience if you stay here awhile. 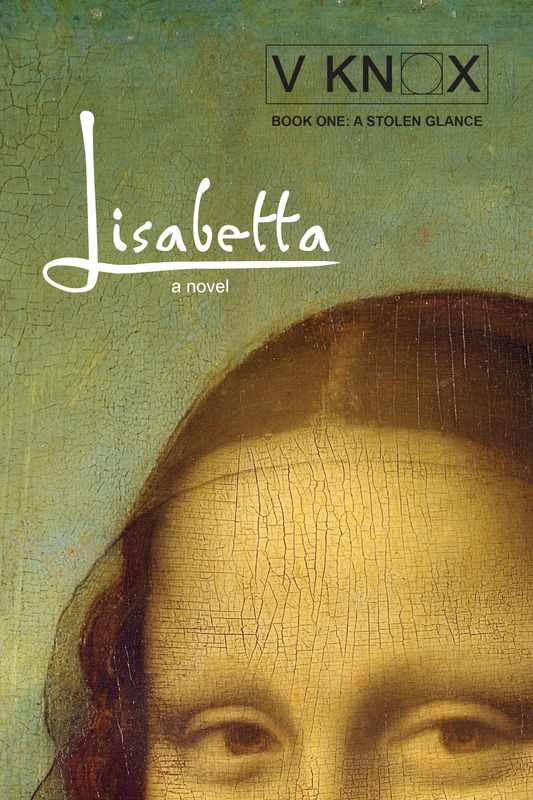 The embittered spirit of the ‘Mona Lisa,’ trapped inside her portrait, escapes from the Louvre and causes havoc in an autistic boy’s worldview in order to be acknowledged for her true identity. *estimated launch date May 1, 2018. 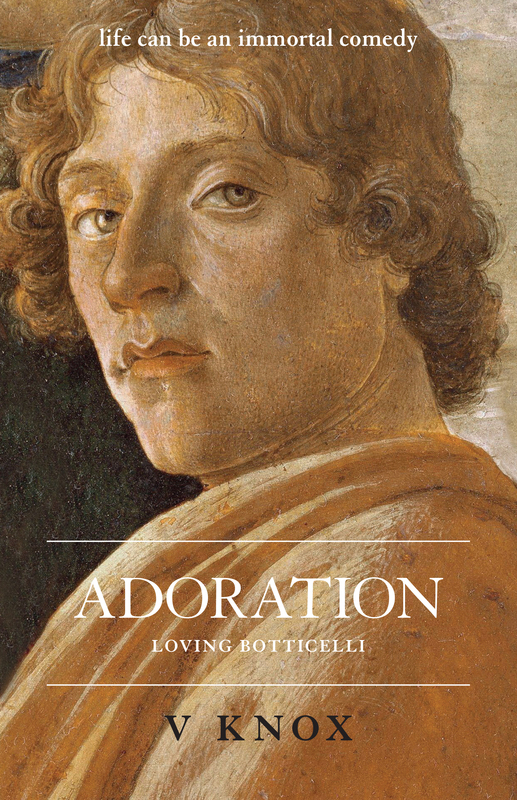 A retired art history professor, haunted for years by a self-portrait of the artist Sandro Botticelli, is lured into one of his masterpieces to consummate their romantic longings for each other five-hundred-years in the past. ‘THE INDIGO PEARL’ and ‘PEARL BY PEARL’ An autistic female savant trapped in an extended near-death experience reincarnates too soon. When the memories of a comatose woman, able to converse telepathically with paintings, are downloaded into a hybrid android designed to withstand time travel, a conflict of interests ensues. And after the woman regains consciousness inside a hybrid body, intelligence is no longer artificial. But the reluctant android, has its own agenda – to destroy its creators. As the woman regains control over her mind, the sentient android evolves organically, and when the two lifeforms meet halfway, they become rivals with a singular purpose, competing for the love of a young man in a 500-year-old portrait. Neither can win his affections without the unique abilities of the other. As the love triangle plays out, one female must eventually supplant the other. Who will prevail? Ultimately, will it take two lives to make one woman? ‘TWINTER – the first portal’ – a time-slip adventure for ages ten to grandmother. book one of ‘The Bede Series’ – Bede Hall is an abandoned stately home, and it’s desperate. It must rally its dispersed family before being sold to developers. Its youngest residents, a pair of telepathic teenage twins, must rescue a girl lost in time whose apparition has haunted the estate for generations. But rescue only opens a time portal that reveals terrible secrets. BEDE HALL IS ALIVE, BUT ALL IS NOT WELL. ‘DOWNTON ABBEY MEETS NARNIA’ It falls to Bede Hall’s time corridors, the Great Sphinx of Egypt, the rules of twindom, the power of nine, and a team of teenagers, with several otherworldly allies who call themselves the Twinters, to save earth from becoming a ball of blue ice orbiting the sun. The ‘Twinters’ have six years to try in a landscape where history is positively ancestral. *estimated launch date May, 2018. This entry was posted in Adoration, ALICE THROUGH THE LOOKING GLASS, android, art history, Books, fantasy, Florence, Florence. Italy, Historical Fantasy, Historical Fiction, Italian renaissance, Leonardo da Vinci, literary fiction, Lost Paintings, magical realism, middle-grade time-slip adventure, paranormal romance, PEARL BY PEARL, poetry, REINCARNATION, romance, Sandro Botticelli, science fiction, science-fiction fantasy, Silent K Publishing, supernatural, the 'Mona Lisa', THE BEDE SERIES - V KNOX, The INDIGO PEARL, THE UNTHINKABLE SHOES -novel, time travel, Titanic, Titanic's lost shoes, Titanic's unknown child, Twinter the novel, V Knox, V. Knox author, Veronica Knox author, women's fiction and tagged 'The UNTHINKABLE SHOES' the novel, Adoration the novel, art history, Egyptian history, fantasy, ghosts, historical fantasy, historical fiction, Italian renaissance, Leonardo da Vinci, Lisabetta Buti, literary fiction, love story, Mona Lisa, paranormal romance, paranormal science-fiction, reincarnation, Sandro Botticelli, Silent K Publishing, supernatural, the BEDE SERIES by V KNOX, time travel, time travel fiction, time-slip adventure, Titanic, Titanic inspired fiction, Twinter the novel, V. Knox author, veronica knox artist, Veronica Knox author, women's fiction. Bookmark the permalink.